As promised, here is another card I created with Close To My Heart’s *NEW* Butterfly Friendship Stamp Set. 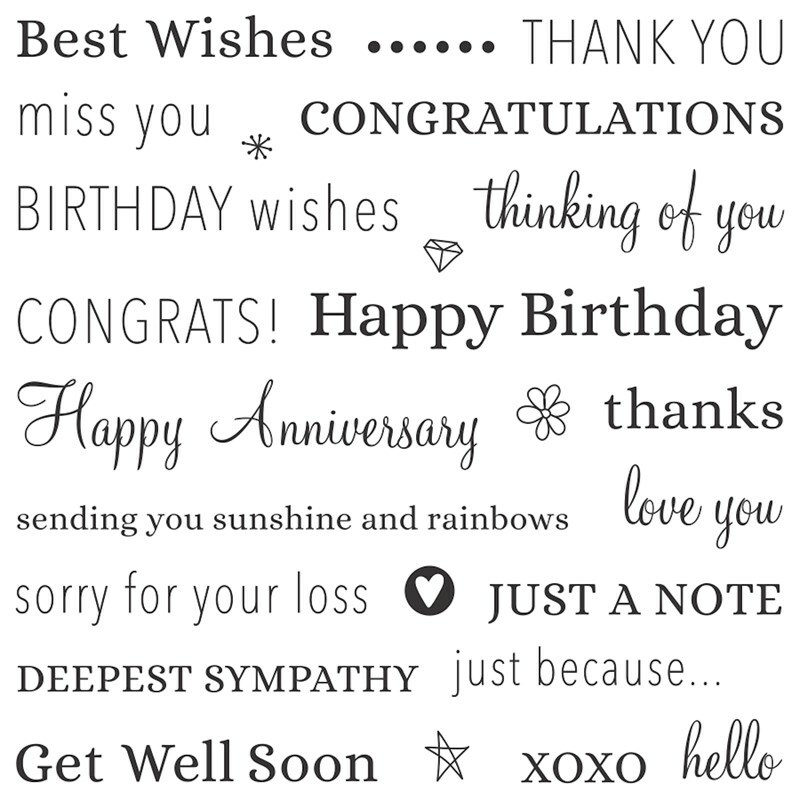 It also uses the January Stamp of the Month, Card Captions. While the Butterfly Friendship Stamp Set will be available through the end of the Seasonal Expressions 1 Catalog (April 30th), the Card Captions Stamp Set is only available through tomorrow! 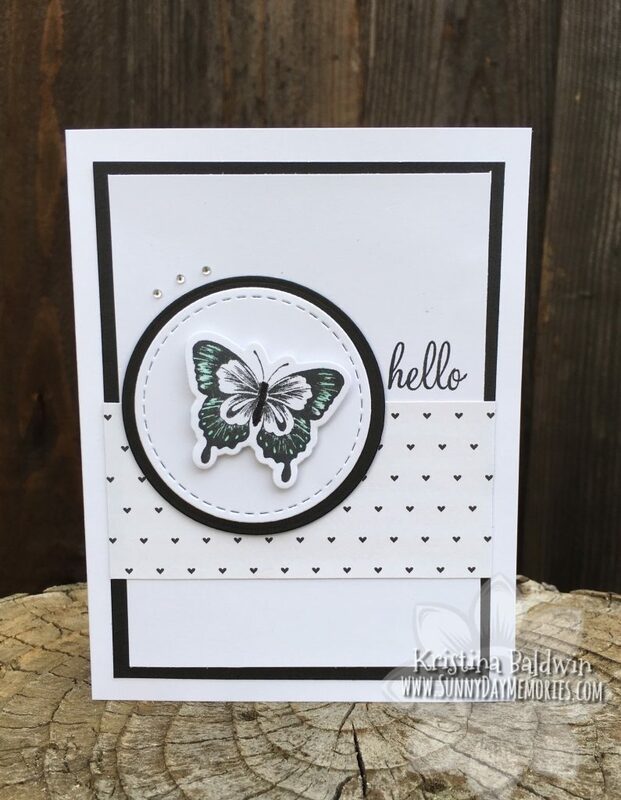 I kept the design and color scheme of my card very simple with just black and whites so I could really make the butterfly pop and be the focal point of the card. 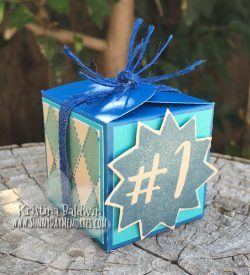 I used the Black Heart Patterned Paper from the *NEW* I Heart Us Paper Collection. And like I said, I used the Stamp of the Month to stamp “hello” on my card. 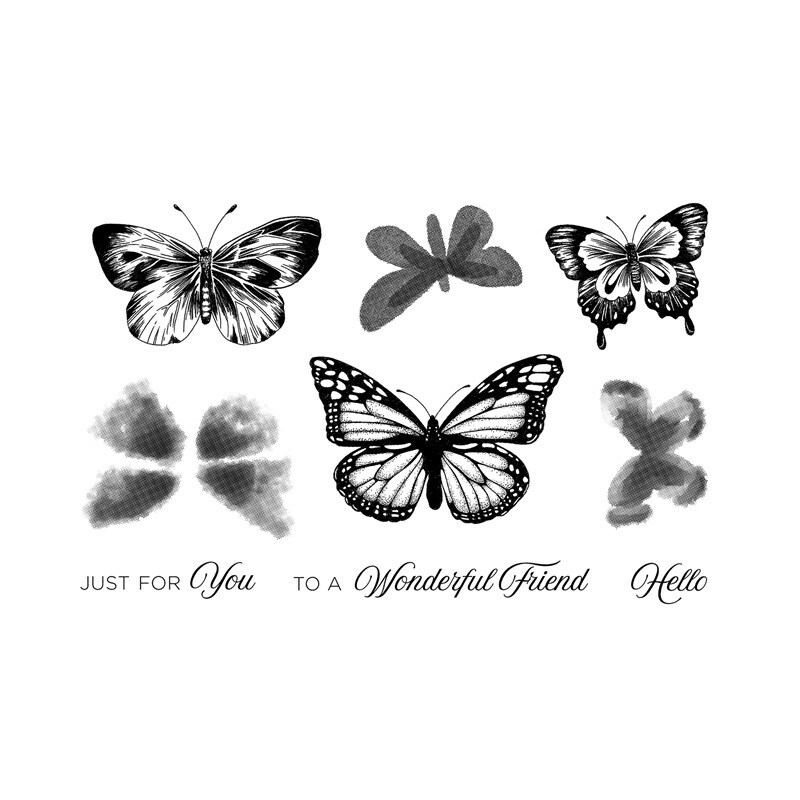 While the Butterfly Friendship Stamp Set does already have this sentiment, I chose to use it from the Card Captions set as I really love the font and simple look of it. I added both our Mint (wings) and Black Shimmer Brushes (body) to the butterfly to really make it pop. If you haven’t seen the Mint Shimmer in person–you really must! It is SO, SO PRETTY! The photo really doesn’t capture the sparkly beauty of it. 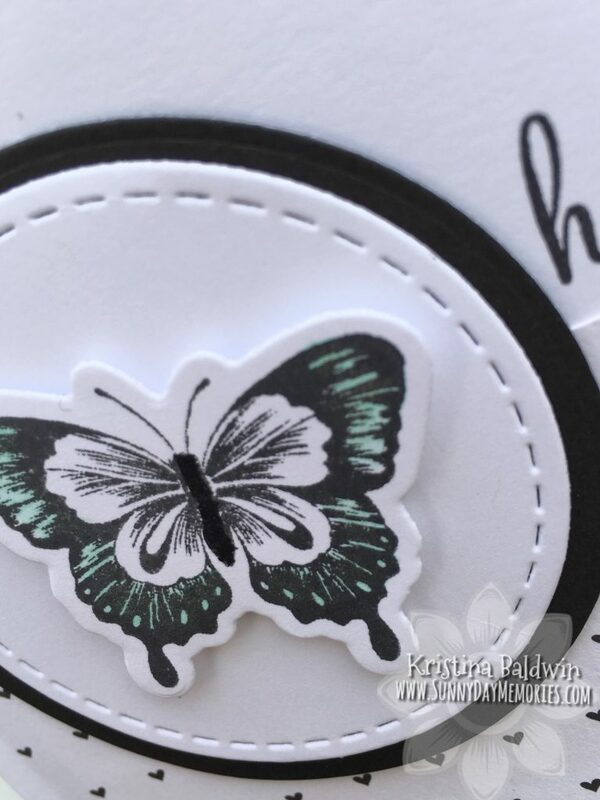 I layered the butterfly on top of a White Daisy Stitched Circle which was layered on a Black Circle die cut. To finish the card, I added 3 Bitty Sparkles. 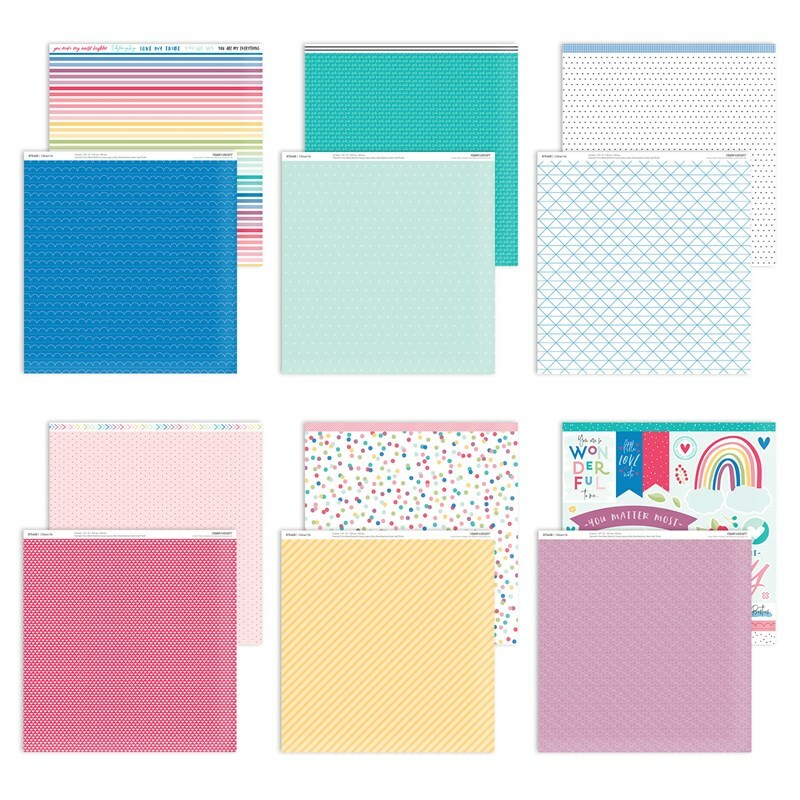 To purchase any of the products I used on my Hello Butterfly Card or for any other Close To My Heart products, please visit my ONLINE CTMH STORE.